Check out our Dental Services at http://www.idcdanang.com!!! 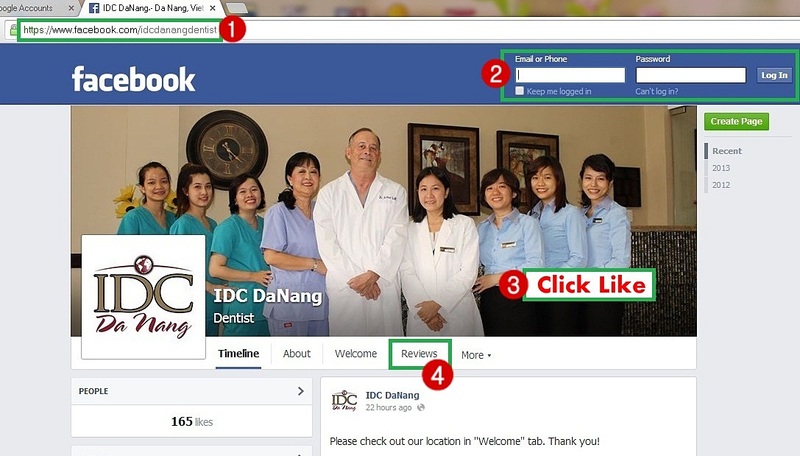 IDC Danang is a family friendly, state-of-the-art dental office with an American trained professional team dedicated to providing your family with every dental service necessary for complete care. IDC staff is confident that you will find our office to be as friendly as it is professional each and every time you visit. Our success is measured by each patient and each smile. General & Cosmetic Dentistry can give you a smile you’re happy to show off. Modern cosmetic dentistry techniques can now correct a wide variety of so-called permanent dental problems, and can make it easier than ever for you to have a bright, even smile. We invite you to review our patient services. Feel free to contact the office to make an appointment. Our office is located at 203 Tran Phu Street, Hai Chau District, Da Nang City.